SeoSamba was built from the ground up to maximize results for networked organizations and deliver benefits from group marketing concepts applied to the online world. 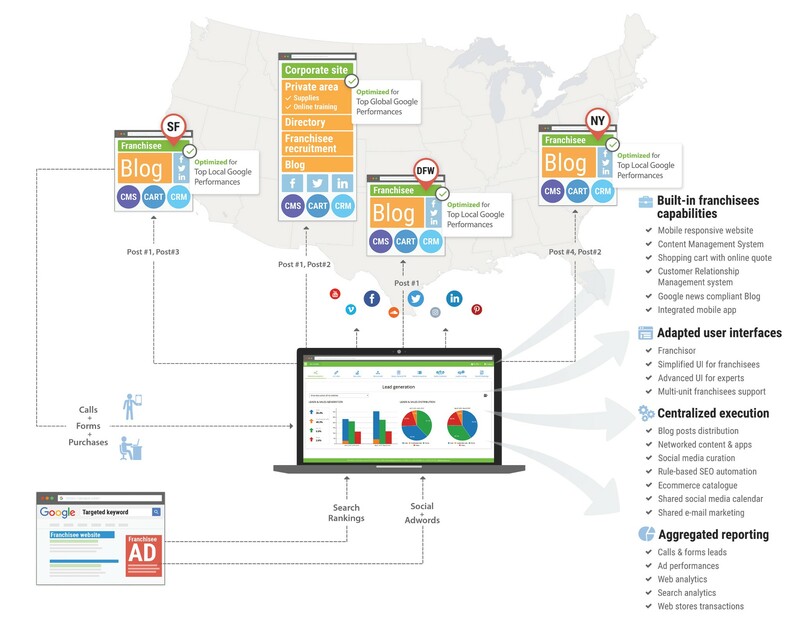 SeoSamba’s exclusive, patent-pending ‘hub & spoke’ architecture is the only true distributed franchise marketing network technology that let's you market your sites network like Wikipedia. Perhaps you've tried something like this in the past. Maybe your current solution is supposed to work like this. It seems that, though you think you're doing everything right, you've yet to realize the level of results you expected. 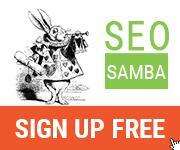 How is SeoSamba's solution any different? The answer lies in the technical framework. In a 10 year study by SeoSamba into commercial franchise and multi-site marketing systems, we've found that most operate technical frameworks that are flawed at the core. They're inevitably missing one (or more) of the 5 pillars required to succesfully achieve the Wikipedia effect and build network momentum. The good news is that if you already have a site network, you halfway there. If you are using SeoToaster or WordPress as a Content Management System, you're even closer. Regardless, we will map out a plan for you to quickly complete that journey towards success, retrofit your sites and get your sites' network on a new trajectory. To differentiate your brand from the competition, a franchisor must deliver a proven digital marketing platform that prolongs the brand’s identity, helps franchisees competitively market their services locally and expands their digital exposure and power. Then, as your network of websites scales, so will the visibility of your franchise brand. SeoSamba’s Franchise Brand Network Marketing Packages were designed to outperform local and national competitors, and generate more leads for the franchisees. They give the franchisor the flexibility to allow their franchisees the ability to develop and manage their online presence at the local level. We provide the ideal solution to integrate execution and reporting tools. Our patent-pending 'hub & spoke' technology, takes group-marketing concepts and applies them to the online world, and maximizes online results for the entire network. Via a centralized marketing platform, franchisors deploy and manage any number of local websites, out-of-the-box. Franchisees have access to customization features that aid in maximizing their exposure in local search engines, allowing them to outperform their competitors. This strategy allows franchisors to benefit from the incremental search engine rankings of each individual franchisee, while generating an increased number of local sales leads. Note that this also has far-reaching implication for franchise development, especially in the early days of the newly franchising business, as a properly designed distributed brand network will also greatly benefit your franchise development website and sales. And if your franchise system is already part of the top 49% of all franchising brands counting 21 units of more, you can greatly benefit from upgrading to a comprehensive distributed franchise marketing solution. While the dashboard allows franchisor to have their entire system's Key Performance Indicators at their fingertips, and set performance alerts relevant to their business, it also let them collaborate with their franchisees, share best practices and fuel their local marketing initiatives. Open a free SambaSaaS account and get a taste of the franchisor dashboard, then contact us for an in-depth demo. Together, we'll turn an educated conversation into a turnkey strategy. If you're a franchisee, and are interested in showing the path to your franchisor, check out our traiblazer program.